Still Life with Bottles, a 16”x16” work in oil and cold wax on cradled panel, received the Painting Award in the Members and Friends 2018 exhibition at the Galesburg Civic Art Center. I received notice that Torso 1, a painting in oil and cold wax on panel, was one of 130 works out of a field of 496 selected for the 83rd Annual CAA National Exhibition. This is the second time I have been fortunate enough to have work in this venerable show. 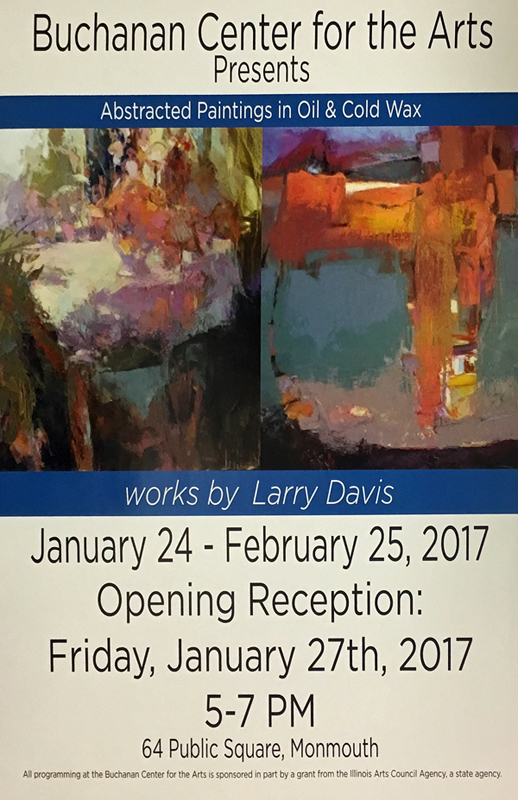 "All About Color - Abstractions in Oil and Wax"
November, 2016 saw a show of the artist's works at Beréskin Gallery in Davenport, Iowa. The exhibition was combined with a one day workshop on oil and cold wax technique. 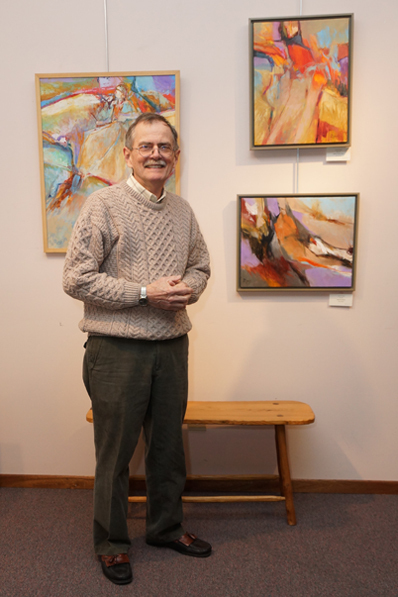 Gallery owner, Pat Beréskin, along with the other fine artists in the gallery stable went out of their way to make the event a success. 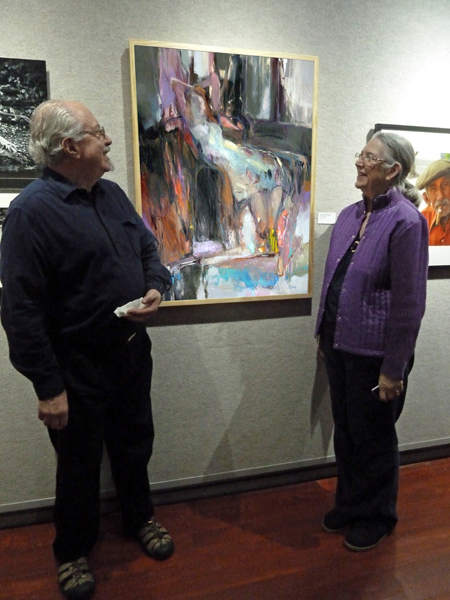 GCAC 2015 "Members & Friends"
From the March, 2016, Galex50 reception, here are to attendees viewing the oil and wax painting, MODEL RESTING, which was awarded the $1000 first prize Blick Purchase Award. 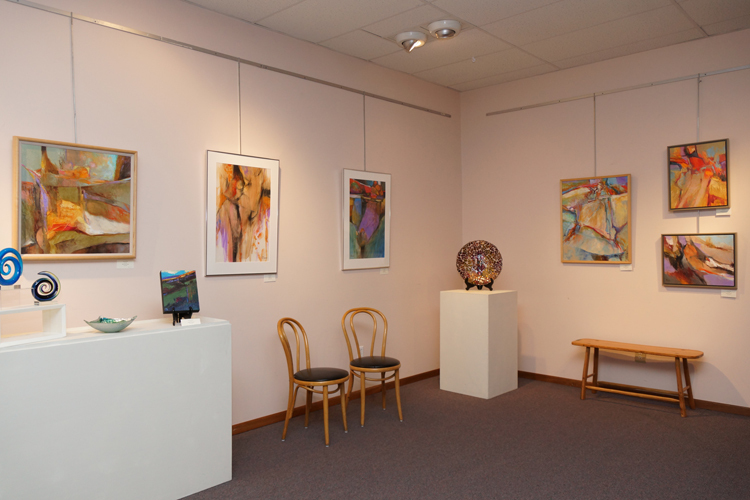 Here are 2 of the 9 works purchased by the college during this exbibition in October of 2014. I am more than a little tardy in using this venue to thank both Greta Songe and Arbe Baresis from the Kirkwood art faculty for making this wonderful experience possible. 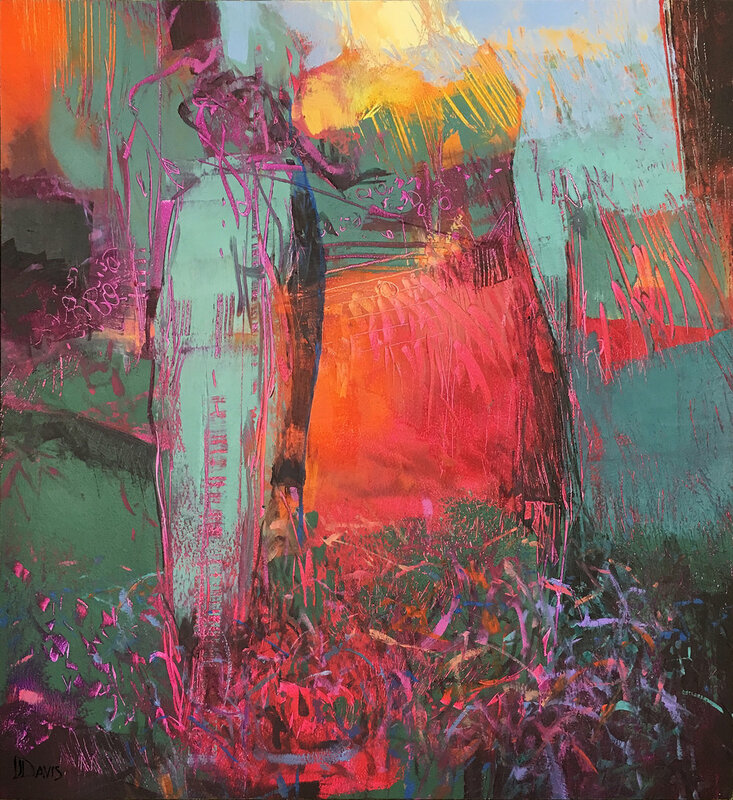 The oil on canvas, Abstract Seated Figure, has been chosen for the Canson Excellence in Arts Award at the 79th Annual National Juried Art Exhibition on display until August 15 at the Cooperstown Art Association, Cooperstown, New York. 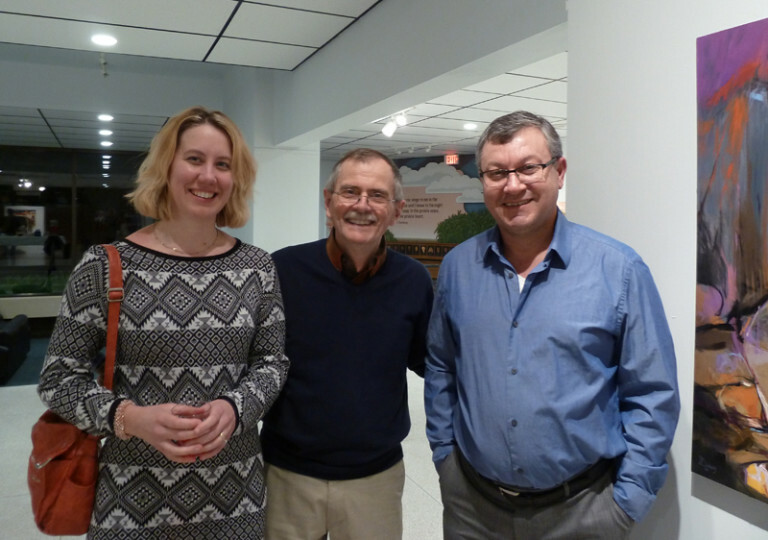 On June 6, Larry and Jacquie Davis attended the reception for Watercolor USA 2014, at the Springfield Art Museum in Springfield, Missouri. 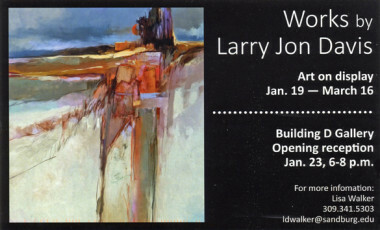 Larry’s painting Abstract Presence was one of 59 selected from the 549 works submitted. This national competition has been held since 1964. 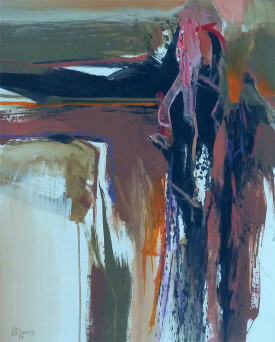 Earlier Abstract Presence had also won an award at last year’s Illinois State Fair. LJD with Carrie Donaire, Clinton’s Director, Convention & Visitors Bureau. Both Carrie and Larry are former Student Body Presidents of Clinton High School, only one is much older if not wiser. You can guess who is the older one. Carrie is the daughter of friend and fellow high school classmate, Steven Mayer and his wife Kit. 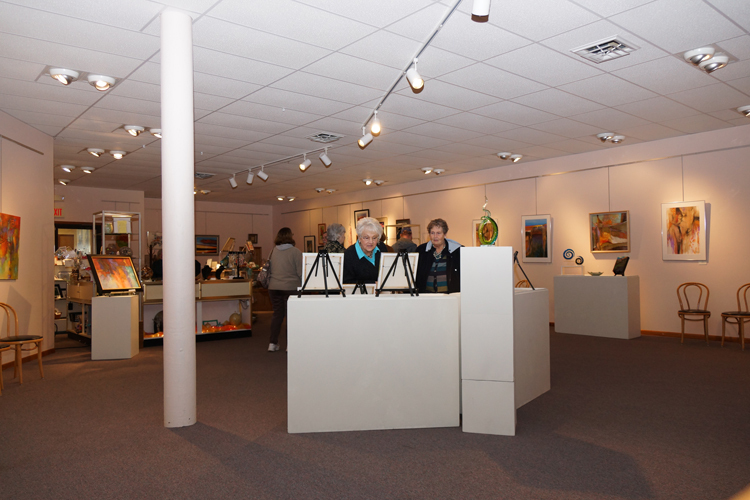 Clinton natives set to showcase art at center . Growing up in Clinton, Debora used to sit with her mother at the diningroom table and draw. Throughout the years,she drew a lot of portraits, especially the Beatles when she was young. Eventually, she became fascinated with abstract art and was drawn to the style. “It’s fun to come back to Clinton after all these years,” Larry said. 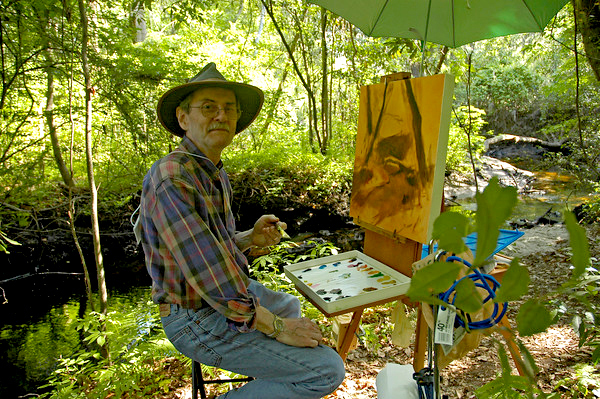 His art can be viewed at www.larryjdavis.com. 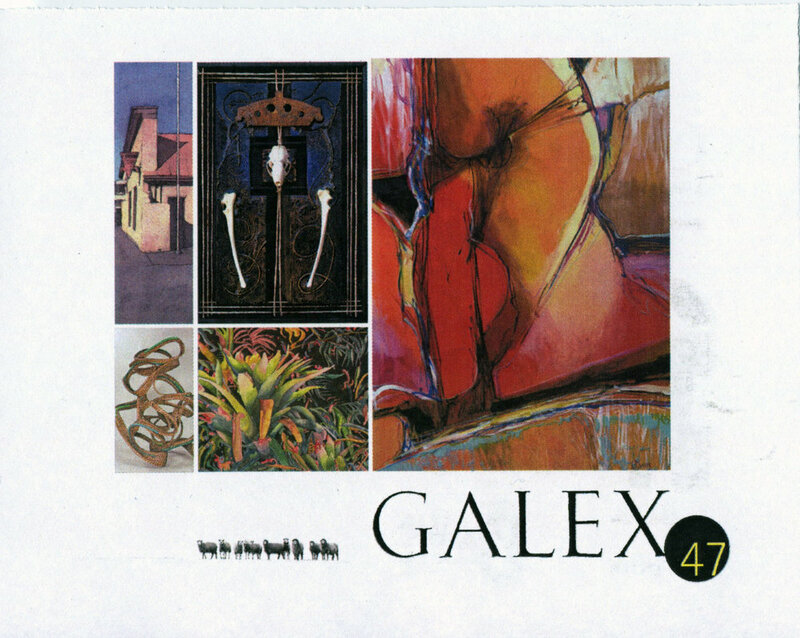 held from 1:30 to 4 p.m. Sunday at the gallery. The two friends are excited to be in a show together. Both artists said people seem to think abstract art is easier than it really is. Larry said that “breaking up that eternal rectangle” can be difficult. While he has spent much of his career realistically representing objects, such as an apple, he has found he enjoys an abstract take on it much more. “It’s equally fun to explore just the colors, textures, shapes that all organic things share,” Davis said. Both agree that some planning does go into their works, even if those plans may change. Larry considers exactly what .colors to use and how they are affected by other colors placed by them. 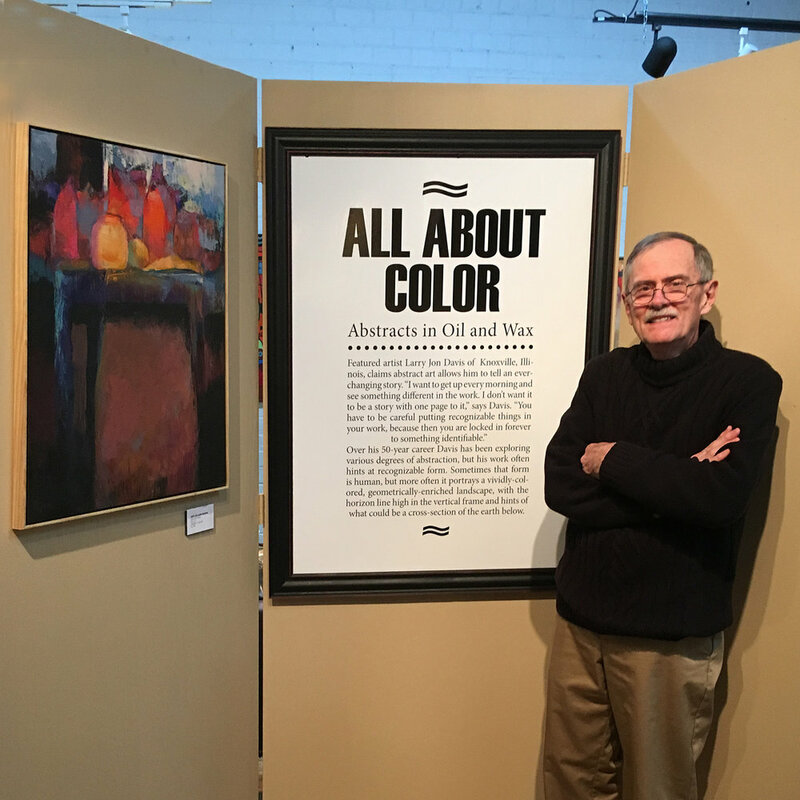 He will often use opposite or complementary colors in his work to make them pop. 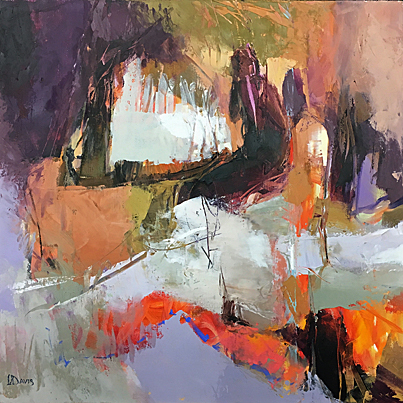 An acrylic and charcoal work entitled Abstract Presence has been given second prize for Drawing and Graphics in the Professional Art Exhibits of the recently completed 2013 Illinois State Fair. Davis Studio Has Moved Location! As of November 2012, Davis Studios has moved to a new home in Knoxville, Illinois. With my retirement from teaching in 2010 and after 26 rewarding years in Jacksonville, Florida, the time seemed right to explore a new location. Being closer to family and familiar regions in the Midwest were strong incentives, along with the chance to enjoy the full range of seasons. We look forward to maintaining the treasured friendships and connections in Jacksonville’s arts community, while exploring exciting new opportunities here in the heartland. 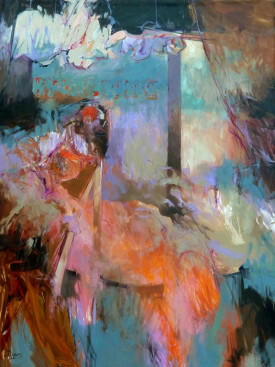 Jacksonville’s Museum of Contemporary Art is hosting part of the Looking Forward/Looking Back exhibit through July 11. Here are three shots of a Davis “Earthscape” entitled Eternal Cycle Diptych. The two detail images show the mixed-media collage approach favored by the artist for many of the works in this ongoing series.